← Sheltered Workshops or Sweatshops for the Disabled? Here’s some on-line videos and other material compiled by Sheela Gunn-Cushman to help you explore the fascinating history of people with disabilities. 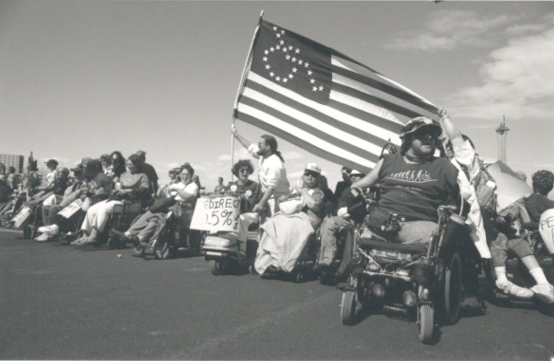 This entry was posted in Activism, Disability Studies, History, resources and tagged ADA signing ceremony, Ed Roberts, Fred Fay, Independent Living Moverment, Jessica Lehman, Judy Heumann. Bookmark the permalink.